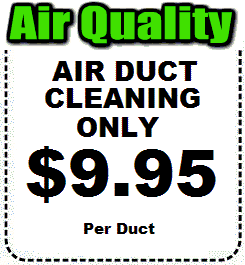 Why Do Air Ducts Need Cleaning? Dust,pollen,mold spores,fibers,hair,paper dust, and more are drawn into your HVAC system. 90%of these particles pass though the air filters, hiding in the air duct system and air handling equipment.This buildup can reduce air flow up to 50%. The air ducts are breeding areas for bacteria and mold that cause many people to suffer from allergies or respiratory stress. This can be a source of musty,stale odors. Do you notice dust on your ceiling/ceiling fans? When you turn on your heat at the beginning of the winter season do you smell dust? Do certain rooms in your home have different heating/cooling properties?